It always happens when I least expect it, I’ll go through long stretches when absolutely nothing in design interests me and then, BAM! I’m collecting design images non-stop. And lately, more color has been creeping in which is quite contrary to my design aesthetic. 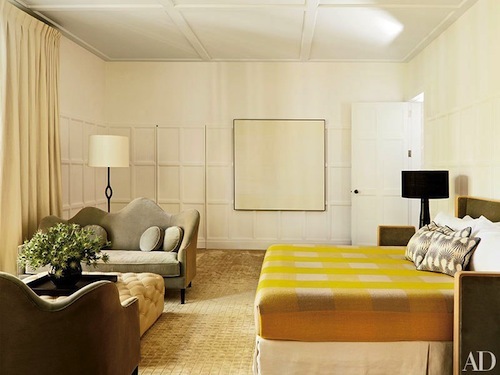 Case in point, I love everything about this bedroom designed by INDIA MAHDAVI especially the bright yellow bed cover. If you know who designed it, please let me know!